There is a strong relationship between sleep apnea and obesity. The link is so strong that almost every obese person have at least one symptom of sleep apnea: lound and irregular snoring. Being overweight often contributes to snoring, since excess fat in the neck area reduces the width of the air passage. But why does almost every overweight person snore? And how much are the at risk of developing obstructive sleep apnea? Why Obesity is Causing Sleep Apnea? To say it simple and plain: as long as you gain weight, your neck gets thicker. When the level of fat from the throat increases, your airway is getting smaller. The fat is located not within the wall of the airway but around it, and when the muscle tone is reduced during sleep, the fatty tissue, in effect, mass loads the airway and tends to collapse it. In other words, the more fat in the throat, the more likely the airway is in danger to become blocked. Obesity is the strongest risk factor for obstructive sleep apnea, when even small changes in weight can result in significant changes in upper airway collapsibility and severity of upper airway obstruction. In overweight people, the excess of fatty tissue on the abdomen causes abnormal weight that can interfere with the normal breathing. So, the more overweight you are, the more difficult is to breath in sleep and you will worsen sleep apnea. When sleep apnea is aggravated, you may feel more drowsy during the day. This means that excessive daytime sleepiness - an important symptom of sleep apnea - is getting worse, too. If we sleep all day, we don't consume enough energy and so we become less active and gain more weight. In this way we aggravate our health situation harder . The Pickwickian Syndrome is a type of sleep apnea that is associated with extreme obesity. This syndrome is the result of obesity on people that can't lose weight. 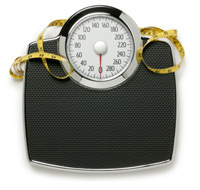 Weight Loss can eliminate sleep apnea, if obesity is one of the main causes. We also know that sleep apnea can cause weight gain, because you sleep less at night and you are always drowsy every day. It has been shown that weight loss can lead to an improved sleep efficiency, decreased snoring and improved oxygenation, but it will be very difficult to escape obesity as long as sleep apnea is untreated. For better results with weight loss, it's better to start using CPAP therapy as your main remedy for sleep apena. In this way, you should sleep better, which is a great help in your weight loss plan. 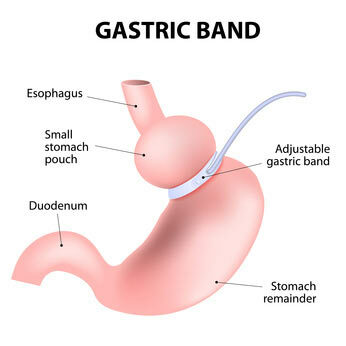 Surgical weight loss, particularly gastric bypass surgery, is indicated only for severe obesity, where patients cannot control their weight with traditional methods, such as lifestyle modification, pharmacotherapy or diet. CPAP therapy is the most common treatment for sleep apnea, and the most effective. The only problem is that it's so difficult to adapt to it. 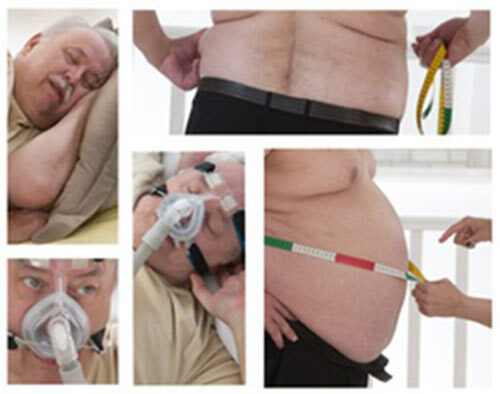 If you are overweight and have obstructive sleep apnea, then you should start your CPAP therapy as soon as possible. You will have a more restful sleep and better energy level in day time. And then you can fight against obesity with less effort.